Is it fair to give this place a review when I haven't been to the actual storefront yet? Yeah, I'll say yes to it myself. I mean, the popsicle was still consumed fair and square from them. It wasn't for a special event! 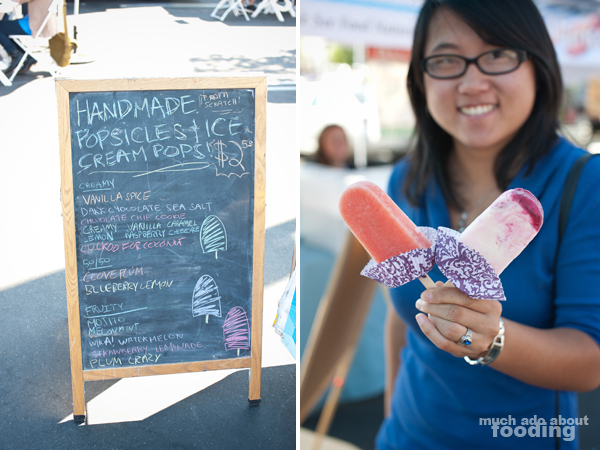 Anywho, I came across Front Porch Pops (homemade popsicles!) at the SoCo Farmers' Market this past weekend by one of their carts and considering the heat that day, it was a definite must. Can I just say how impressed I was with the flavors? These weren't your regular pops. These were gourmet. These were artisanal. These were too tempting. It was hard to choose a flavor but eventually I decided on the lemon raspberry cheesecake. Duc's choice was easy - he goes for cool names so the Whoa! Watermelon was his pick. 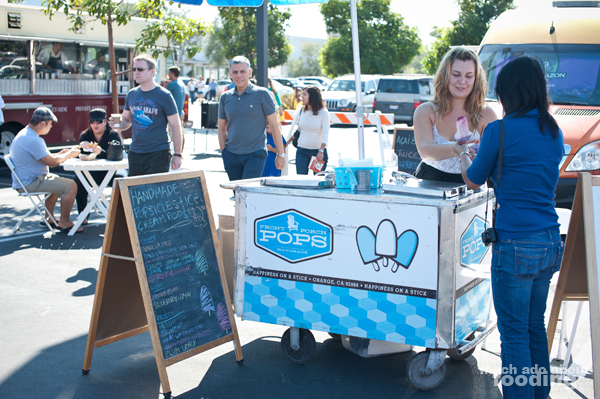 My popsicle was oh-so-creamy and the flavors really came through of a cheesecake. I found the raspberry more prominent than the lemon but that was okay. It was still fabulous. The watermelon one pretty much tasted like a frozen watermelon. I'd like to drop by the store itself one day though and see what other tempting flavors await. There were way too many choices of awesome popsicles!